Do আপনি think Merlin should have told Morgana he had magic too? অনুরাগী চয়ন: yes! things would have been so different! "Don’t think i don’t understand loyalty just because i’ve got no one left to be loyal to." অনুরাগী চয়ন: oh..poor Morgana! She's so right! 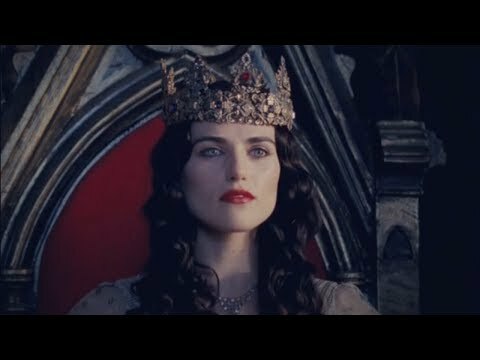 Do আপনি think Morgana suffers because of Uther's death? Do আপনি mind the smirks? পছন্দ Morgana quote from 5x01? অনুরাগী চয়ন: For two long years, I saw nothing but darkness. How can we call the Morgana's fans? Why do আপনি like/love Morgana? Which episodes did আপনি like Morgana best? Post a picture of your পছন্দ Morgana outfit! Gaius: "It seems you're a hero." Merlin: "Hard to believe, isn't it?" Morgana is Uther Pendragon and Lady Vivian's illegitimate daughter: at first she believes that her father is dead and sometimes she visits his tomb, but then she will discover the truth. Morgana at first had a crush on Arthur, but Arthur has a complicate relationship with his serve Guinevre,altought he admits that Morgana's really beautiful. Morgana was also a Merlin' friend, but when she felt alone she started to hate him as his step brother and his father. Wow Nice new spot look! I've hoped to especially see the প্রতীকী being changed. Is there anyone on this spot who would want to যোগদান my new "Robb Stark & Morgana" spot? a comment was made to the poll: Do আপনি think Merlin should have told Morgana he had magic too? a comment was made to the poll: "Don’t think i don’t understand loyalty just because i’ve got no one left to be loyal to."